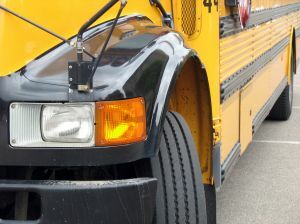 In Brunswick, Georgia, a serious automobile accident / school bus accident took place when a school bus hit a car. Due to the impact, the car and its driver were pinned by the larger school bus. See Glynn County School Bus Hits Car – Pins It Against a Tree Trapping Driver Inside. Police and rescue workers responded to the scene and were able to free the trapped driver from the vehicle. Thereafter, the injured driver was taken to a Savannah hospital for evaluation and treatment. Driver safety is key for all drivers on Georgia roads. It is important for all drivers to pay close attention to speed limits, road signs, traffic conditions, and road conditions. When there is an automobile accident, there are often many issues and challenges faced by the injured driver or passenger. These include those related to medical care, medical treatment, medical bills, insurance claims, wage loss, and other compensation. It is often times helpful to have assistance and representation by a personal injury attorney to guide the injury victim through the claim. When necessary, a lawsuit can be filed to enforce the rights to compensation of the injured person.